We repair all brands of residential dishwashers. It’s nice to be able to retrieve the dishes from the dishwasher, dry and squeaky clean. 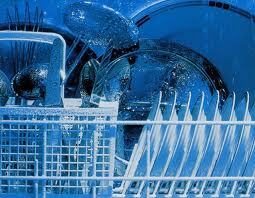 Dishwashers work by three essential principles, fill, wash, and drain. Sometime during the wash cycle, usually during the second wash, the soap dispenser will open. Our technicians will repair your dishwasher so the dishes will once again finish the dish-washing cycle clean and fresh. We provide exceptional service on all brands of residential dishwashers.